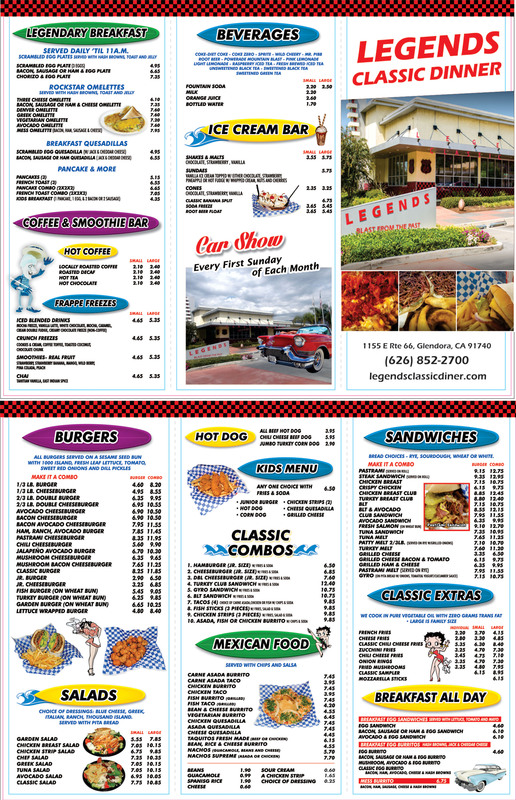 Legends Classic Diner is a fast food restaurant on a mission to put a twist on the everyday life of the average eater! With a blend of eye-catching architecture and amazing food, we strive to meet your expectations. Healthy food is very important to us, so we use fresh ingredients, fry with vegetables oil, and prepare everything new everyday! Legends Classic Diner truly is a “Blast from the Past™”. The restaurant’s exterior is made to look like the diners from the past with a few modern touches. At the same time, the restaurant’s interior is filled with memorabilia from the rockin’ past all set to a groovin’ beach theme. One amazing touch designers added to the interior are the bottle caps. There are well over 1500 bottle caps in the decor! Another feature is the jukebox situated in the middle of the dance floor, just in case you feel the need to jam out to some 60’s music.